The hundreds of people who are on waiting lists for an affordable housing unit in Grey-Bruce are, in most cases, living in crisis mode, say local advocates for low-income residents. 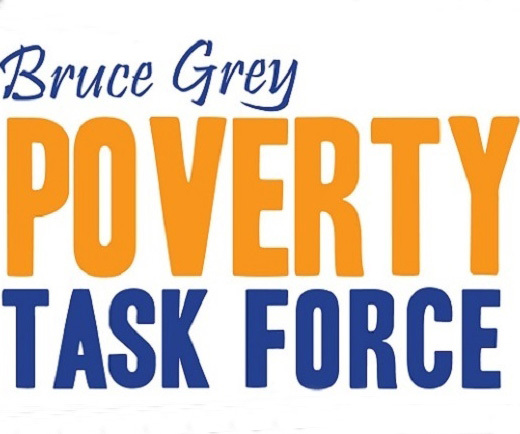 Unaffordable rent costs force people to take drastic measures to scrape by, say Jill Umbach, planning co-ordinator for the Bruce-Grey Poverty Task Force, and Francesca Dobbyn, executive director of the United Way of Bruce Grey. “It’s crisis management for the family,” Umbach said in an interview. Some people on the waiting list can pay market rent prices, but do so by cutting from other basic needs, like food, utilities and medication, they say. Some may have their heat or hydro disconnected after bills fall into arrears or must move every few months as they fall further behind on rent and are evicted. Others may be living in unsafe, substandard units or in remote areas — where rent is cheaper but where transportation is a problem — until a unit opens up, they say. “People are making awful choices,” said Colleen Purdon, an Owen Sound councillor and longtime social advocate. She said some people on the waiting list may move out of Grey-Bruce and to an area where affordable housing is available. “I think we’re losing people because we don’t have affordable housing,” she said. Nearly 110 seniors, 77 adults and 23 families are on the waiting list for an affordable housing unit in Bruce County. Grey County has 139 seniors, 300 individuals/couples and 127 families in their queue. The waiting time in Grey County is at least three years. The Ontario Non-Profit Housing Association, in its annual report on wait times, said there are more applications for affordable units now than ever before. The average market rent in Owen Sound is $554 for a bachelor apartment, $686 for a one-bedroom unit and $827 for a two-bedroom apartment, according to the Canada Mortgage and Housing Corporation. Rent is higher in Saugeen Shores and Kincardine. The CMHC says a family should be spending 30% or less of their gross monthly income on shelter and utilities to ensure there is enough money for food, transportation, clothing and other essentials. There are two kinds of affordable housing units: geared-to-income, where rent is calculated at 30% of a tenant’s gross monthly income; and apartments where the shelter costs are 20% below market rent. A single parent, making $10.25 an hour, earns about $1,776 a month before taxes, which puts the cost of rent, even for a bachelor apartment, over the 30% threshold. Ontario Works recipients receive a maximum shelter allowance each month of $376 for a single person and $648 for a family of three, which is 78% of the average cost for a two-bedroom unit. Umbach said some people are spending 65% to 95% of their income on shelter and utility costs. Dobbyn said she is not surprised by the demand for affordable housing units in the region. “It’s an additional symptom of the precarious work in our economy,” she said. The local United Way made a submission in October to the Ministry of Labour’s review of the province’s minimum wage, which has been frozen at $10.25 an hour since 2010. The agency prepared budgets, based on a single parent with an eight-year-old and 15-year-old child, and determined the “living” minimum wage should be $13.21 in Owen Sound or $15.11 in rural Grey-Bruce where transportation costs are higher. A “living wage” would allow the family to cover basic needs, including shelter/utility costs at $993 a month, as well as items that allow for “fuller participation in society,” such as school-related costs, telephone and Internet, swimming lessons and a vacation. Purdon said to boost the number of affordable housing units, municipalities and others should be putting more heat on the federal government to create a national affordable housing strategy. She said municipalities, like Owen Sound, should have conversations about policies or incentives to encourage developers to include affordable units in their housing projects. Dobbyn said it is important to address the stereotypes surrounding affordable housing, so mixed neighbourhoods, with some social units, are welcomed. Provincially, 158,500 households were on a waiting list for geared-to-income units in December 2012. The average wait time was 3.2 years. The waiting lists in both Grey and Bruce counties shrunk from 2012 to 2013, although wait times have remained virtually the same.